Canoemobile engages youth to improve school performance, cultivates a stewardship ethic, and creates pathways to pursue educational and career opportunities in the outdoors. Led by Wilderness Inquiry, the Canoemobile is a collaboration of federal, state, and local partners connecting thousands of urban youth to the natural world through hands-on, outdoor learning in cities across America. A floating classroom to facilitate hands-on, applied learning. Paddle and safety instruction in preparation for canoe trips. Activities with environmental, cultural, and historical themes. Six handmade, 24-foot Voyageur canoes, paddles, and safety gear. Educational materials that support curriculum and meet state standards. A fun and informative experience for hundreds of kids each day! 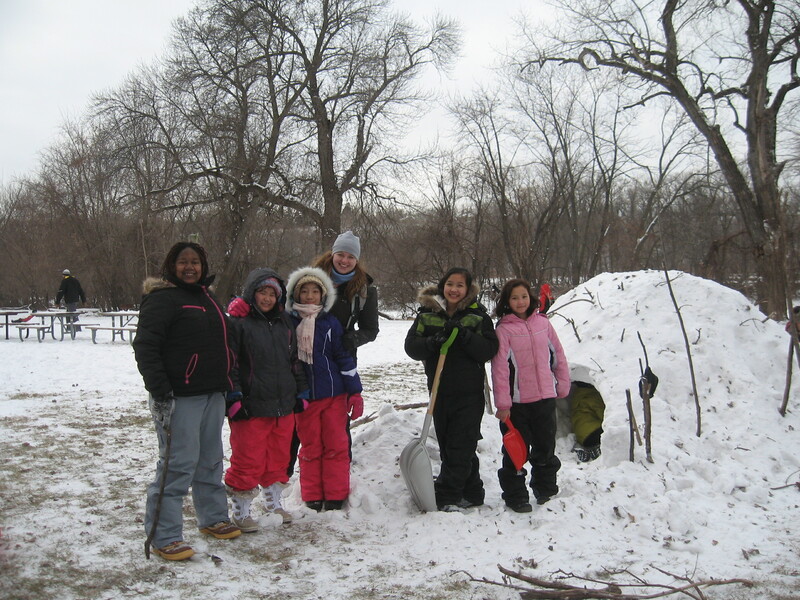 Engage thousands of underserved urban youth in the outdoors. Increase academic achievement through place-based learning. Connect youth to educational and career opportunities across the outdoor sector. Offer resources, curriculum support, and professional development opportunities for teachers. Inspire the next generation to enjoy, explore, and protect public lands. Download the Canoemobile Program Overview flyer. A program model that exposes youth to a progression of outdoor experiences, building skills and confidence while achieving academic, health, and community benefits. Introduction: Students participate in introductory, day experiences focused on place-based learning and outdoor recreation. Activities include canoeing, water quality testing, fishing, wildlife identification, hiking, and more. 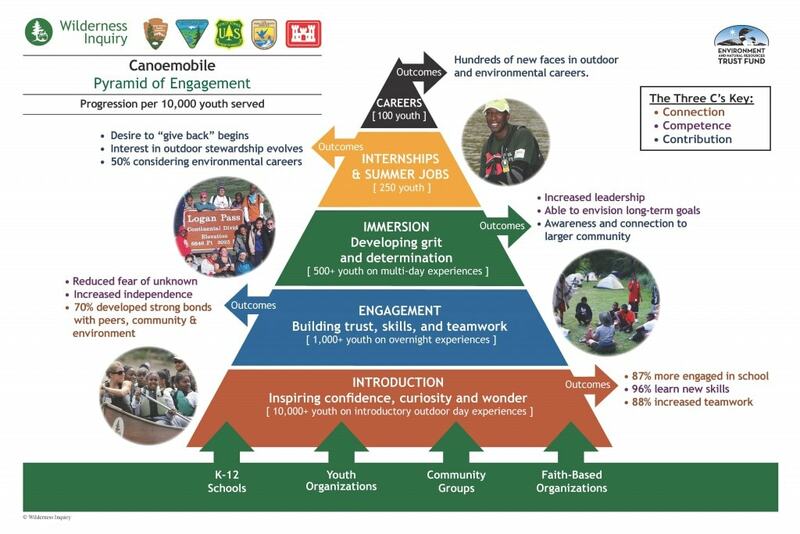 Engagement: Overnight camping experiences in parks close to home provide hands- on growth and skill building while connecting youth to their communities, schools, parks, and cultural history. Youth set up camp, hike, cook outdoors, build a fire, and sleep in tents. Immersion: Multi-day experiences in state and national parks farther from home provide enhanced understanding and appreciation of nature’s resources and motivate civic and environmental stewardship. Internships: Wilderness Inquiry’s Outdoor Careers Council is a growing partnership of over 35 member organizations representing more than 1,500 summer jobs and internships. These opportunities enhance college and career readiness and develop leadership skills. Education/Employment: Two- and four-year colleges and universities provide scholarship opportunities for students engaged in this program. Youth who progress through this model will be prepared to pursue a career in the outdoor industry. Inclusion is a core value of Wilderness Inquiry. Since 1978 we have sought to make programs accessible for people with disabilities, people from disadvantaged backgrounds, and those who experience barriers to accessing the great outdoors. We’re all in this boat together! 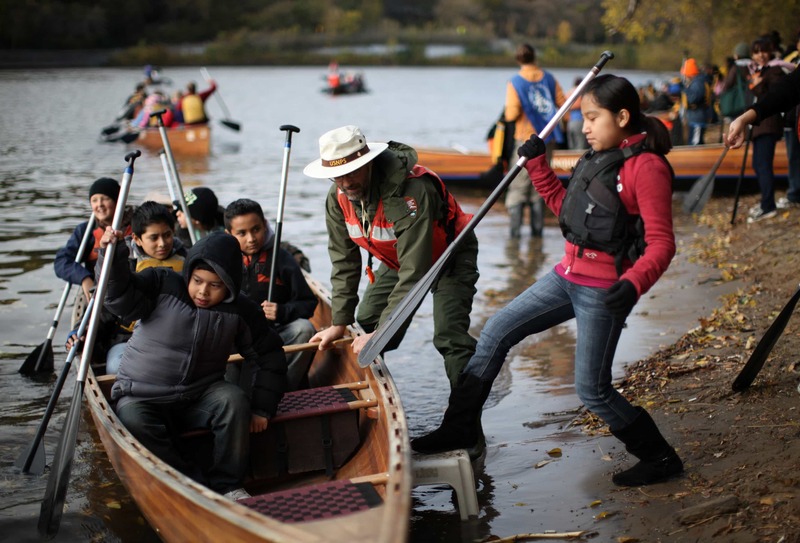 In 2008 Wilderness Inquiry, in collaboration with the National Park Service and Mississippi Park Connection, created Urban Wilderness Canoe Adventures (UWCA) to engage urban youth in place-based education and experiential learning in the Twin Cities Metro Area. Along with our partners, Wilderness Inquiry served more than 90,000 youth throughout Minnesota. The success of the UWCA inspired a 2010 trip to Washington D.C. to bring outdoor youth engagement to a new city. We borrowed a concept from the past—the mobile library or “Bookmobile.” Our version is called the “Canoemobile,” and it is designed to safely engage youth in urban rivers and environments close to where they live. Canoemobile has since expanded by introducing youth to urban waterways in over 40 cities and forming local coalitions dedicated to providing outdoor opportunities to youth. In 2015 UWCA merged with Canoemobile, and today our program remains strong in Minnesota and continues to grow into communities nationwide. Canoemobile starts by opening the outdoors to youth in their own communities with youth engagement days, community paddling adventures, overnight camping or multi-day extended trips. In some communities, these opportunities already exist. They are, however, rarely coordinated or accessible for low-income urban youth on a scale that will make a substantial impact. After successful completion of Canoemobile programming, partners continue collaborating to enhance the system of youth engagement on their public lands and urban waters. The coalition of organizations that come together to conduct each event are different, but in every case it involves city, state, and federal agencies, local and national non-profits, businesses, and schools. This collaborative model, with each organization doing what it does best, is a major factor in Canoemobile’s success. Building quinzees for overnight camping. To create lasting impact, we recognize that urban youth must become more than outdoor recreationists and community advocates, they must also become the leadership and workforce of federal, state, local and private organizations that manage or provide access to public lands. An important part of the Pyramid of Engagement model is the establishment of an Outdoor Career Council with members in each community, made up of leaders in public and private organizations that provide employment and education in environment and outdoor related jobs. A broad, engaged consortium of cross-jurisdictional, interagency partners is the lynchpin of the Canoemobile’s growth and success. Since its inception, Canoemobile has garnered support from local and national partners — including community, non-profit, and corporate organizations, municipal and government agencies, and individuals. Every September, many of our partners show their support by paddling in the Great River Race. 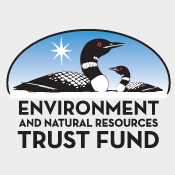 Our annual report shows comprehensive information on funding sources and expenditures. 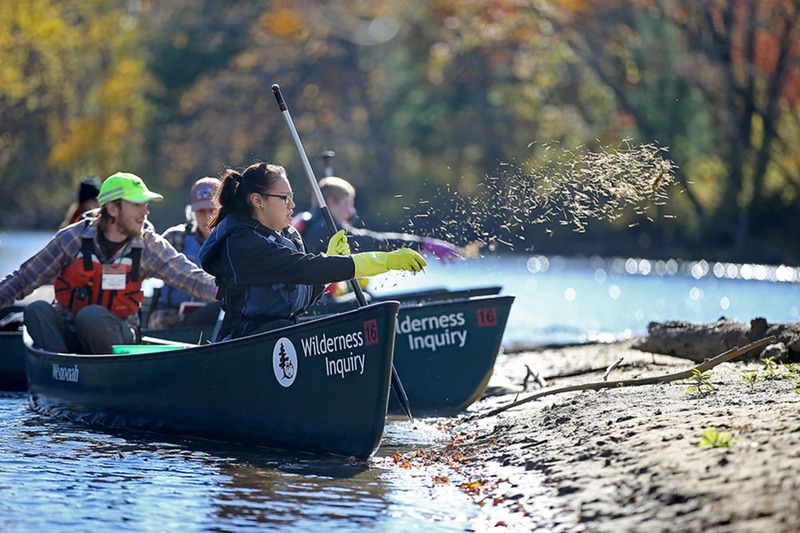 To stay relevant and engaged in the community, Wilderness Inquiry and the University of Minnesota’s Center for Applied Research and Educational Improvement actively conducts research to evaluate and improve our Canoemobile programming. Getting ready for a paddle on the Mississippi. The Canoemobile increases public awareness and knowledge about environmental issues by providing quality, introductory, and academically-connected water-based experiential opportunities to underserved urban youth and introducing them to multiple partnering agencies and organizations—both local and national—who work and engage in their communities. Canoemobile participants are the next generation of advocates for public lands and environmental and community stewards.